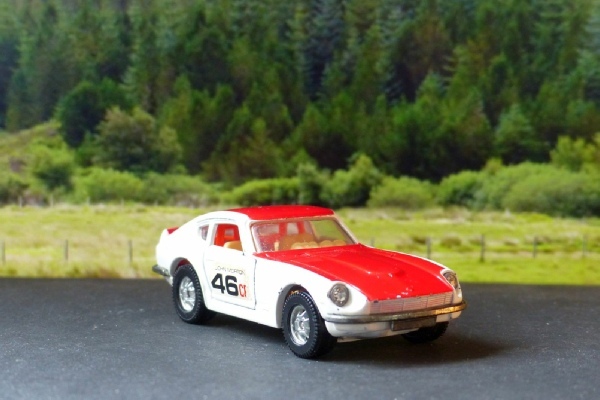 A very nice model appearing for a few years in the middle of the #394 East African Safari Datsun 240Z life. By far the more attractive of the two with the white lower portion although it does still have the silly size writing on the rear panel. Interestingly, the fog lights have now disappeared in this edition. Another good investment at such a modest figure.